BROWNSTOWN HEAD: 2 Willow Warblers, 3 Chiffchaffs, 4 Goldcrests. DUNMORE EAST: 1 Purple Sandpiper at the pier. 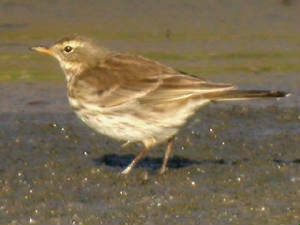 KILMEADEN POOLS: 1 Water Pipit, 1 Green Sandpiper. BROWNSTOWN HEAD: Female Blackcap, 7 Willow Warblers, 4 Chiffchaffs, 1 Goldcrest. TRAMORE BACKSTRAND: 2 Sandwich Terns off Saleen. West of KILMEADEN: 24 Waxwings roughly a half mile west of the Long Haul pub, on main Cork-Waterford road, several miles west of Kilmeaden. WHITING BAY: 1 Little Egret, 1 Wheatear. ARDMORE HEAD: 1 Red-throated Diver, 1 Chiffchaff. HELVICK HEAD: Single Sandwich Tern, Swallow, Black Redstart & Chiffchaff. BALLINARD/BALLYNACOURTY POINT: 16 Sandwich Terns, c.25 Rock Pipits. TRAMORE BAY: 2+ Sandwich Terns. BROWNSTOWN HEAD: 1 Willow Warbler. 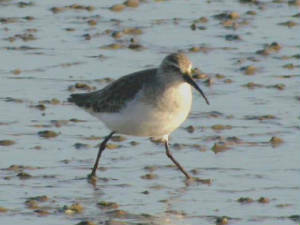 KILMEADEN POOLS: Adult-winter Little Gull. DUNGARVAN: 1 Swallow over the town centre - first county sighting this spring. HELVICK HEAD: 1 Black Redstart, 1 Wheatear. BALLINARD/BALLYNACOURTY POINT: 11 Purple Sandpipers, 1 Whimbrel. BROWNSTOWN HEAD: 7 Chiffchaffs, 4 Goldcrests. TRAMORE BOATING LAKE: 85 Brent Geese, 1 Little Egret. 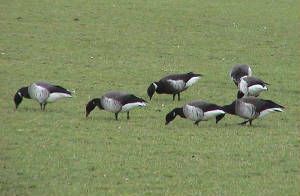 CLONEA STRAND: Adult dark-bellied Brent Goose + 260 light-bellied Brent. HELVICK HEAD: 1 Red-throated Diver, 1 Black Redstart, 1 Wheatear, 2 Chiffchaffs. CLONEA to ANNESTOWN: 16 Wheatears. Nr BUNMAHON: 13+ Sand Martins about 1 mile inland. 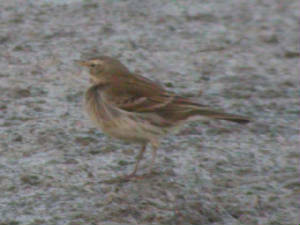 KILMEADEN POOLS: Both Water Pipits still present, now moulting to summer plumage. WATERFORD CITY: 4 or 5 Waxwings at Collins Avenue, Dunmore Road. WHITING BAY: 1 Black Redstart. HELVICK HEAD: 1 Black Redstart, female Blackcap. 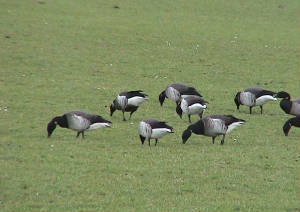 CLONEA STRAND: Adult dark-bellied Brent Goose. DUNGARVAN: 165 Grey Plover, 210 Knot & an early Sandwich Tern, at the Cunnigar. WATERFORD CITY: Chiffchaff singing at Ballinakill, nr King's Channel. BALLYVOONEY COVE: 3 Great Northern Divers & 4 Red-throated Divers, 1 Chiffchaff. BALLYSHUNNOCK RESERVOIR: 47 Whooper Swans. HELVICK HEAD: 1st-/2nd-winter Glaucous Gull. DUNGARVAN: Male Goosander, adult Ring-billed Gull & 1 Common Sandpiper at Ballyneety; 1 Black Redstart at Barnawee. CLONEA/BALLINARD: 3 Red-throated Divers, 176 Brent Geese; 1 Chiffchaff at Ballinard. WATERFORD CITY: An early Chiffchaff singing near King's Channel / Ballinakill. 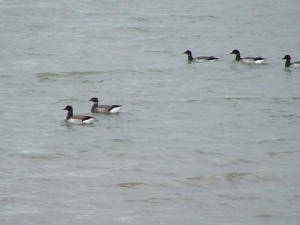 TRAMORE BOATING LAKE: 116 Brent Geese (highest count ever here?). 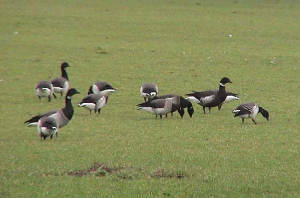 COOLFIN/DERRIGAL: 1 Pink-footed Goose & c.130 Greylag Geese at Derrigal marshes. BALLYSHUNNOCK RESERVOIR: 2 Great Crested Grebes, 51 Whooper Swans, 35 Tufted Duck. DUNGARVAN: 1 Black Redstart & 1 Chiffchaff at Barnawee; 11 Choughs at Ballynacourty pier. CLONEA STRAND: 1 Purple Sandpiper & 1 Chiffchaff at Ballinclamper. BALLYDWAN / BUNMAHON / BOATSTRAND-ANNESTOWN: 6 Red-throated Divers, 1 Great Northern Diver. ANNESTOWN BOG: 1 Little Egret. 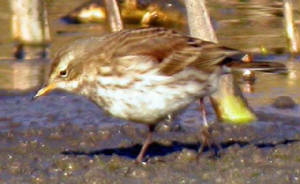 KILMEADEN POOLS: 1 Water Pipit, 1 Green Sandpiper, 42 Moorhens, 1Water Rail, 2 Choughs. KNOCKADERRY RESERVOIR: 11 Tufted Duck, 3 Goldeneye. BALLYSHUNNOCK RESERVOIR: 26 Whooper Swans, 25 Tufted Duck. COOLFIN/DERRIGAL: 230 Greylag Geese & 1 Pink-footed Goose at Derrigal Cross-roads; 87 Cormorants at Coolfin (dusk tree-roost); 1 Green Sandpiper above Clodiagh bride. TIBBEROUGHNEY (Co Kilkenny): 5 Little Egrets, 45 Whooper & 27 Mute Swans. HELVICK/BALLYNAGAUL: 2 Red-throated Divers, 1 Common Scoter, 1 Glaucous Gull. 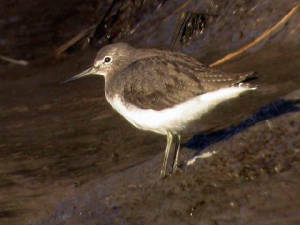 DUNGARVAN: 1 Common Sandpiper at Ballyneety. WHITING BAY: 2 Red-throated Divers, 1 Little Egret, 16 Brent Geese, 18 Sanderling. CAMPHIRE (R. BRIDE): 77 Whooper Swans. DUNGARVAN: Male Black Redstart at Barnawee railway-bridge. 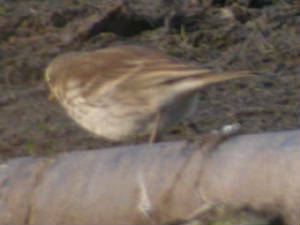 KILMEADEN POOLS: 2 Water Pipits still present. WATERFORD CITY: 12 Waxwings at Abbey Park, Ferrybank. TRAMORE BACKSTRAND (I-WeBS count): Totals included 14 Little Egrets, 34 Mute Swans, 751 light-bellied Brent Geese, 1 adult dark-bellied Brent (at boating lake), 44 Shelduck, 99 Wigeon, 492 Oystercatcher, 127 Grey Plover, 4-5000 Golden Plover, 774 Curlew, 85 Black-tailed Godwit, 157 Bar-tailed Godwit, 70 Knot, 20 Sanderling, 206 Redshank (full details). Also, 1 Merlin. WHITING BAY: 1 Snow Bunting. DUNGARVAN (I-WeBS count): Totals included 60 Great Crested Grebes, 9 Little Egrets, 632 Brent Geese, 257 Shelduck, 253 Wigeon, 343 Teal, 1 Common Scoter, 17 Goldeneye, 80 Ringed Plover, 2900 Golden Plover, 284 Grey Plover, 241 Knot, 101 Sanderling, 2214 Dunlin, 32 Black-tailed Godwit, 1038 Bar-tailed Godwit, 1 Whimbrel (nr Ballynagaul), 860 Redshank, 23 Greenshank, 1 Common Sandpiper (Ballyneety), 149 Turnstone (full details). CLONEA STRAND: 4 Great Northern & 6 Red-throated Divers, 157 Brent Geese (additional to Dungarvan birds), 4 Black Guillemots. DUNGARVAN: Adult Black Brant at the Sports Centre, 1 Merlin at Barnawee, 2 'north-eastern' Chiffchaffs among a total of 5+ Chiffchaffs at Knockanpower Lower. 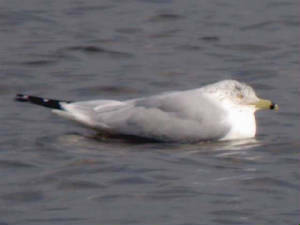 HELVICK HEAD: Adult Yellow-legged Gull, 1st-winter Iceland Gull. DUNGARVAN: 3 Goosanders at Ballyneety, 1 'north-eastern' Chiffchaff at Knockanpower Lower, nr Ballynagaul. GRANNAGH, nr Waterford city: 7 Waxwings at Dawn Meats. DUNMORE EAST: At least 3 Glaucous Gulls, and 2 Mute Swans still present. 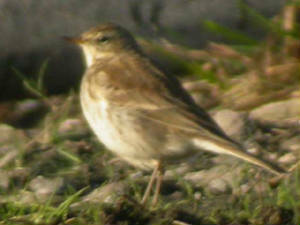 KILMEADEN POOLS: 1 Water Pipit. 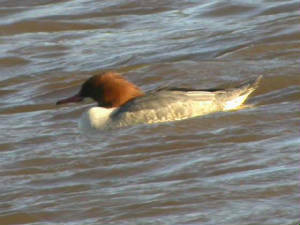 DUNGARVAN: Male + female Goosander at Ballyneety. 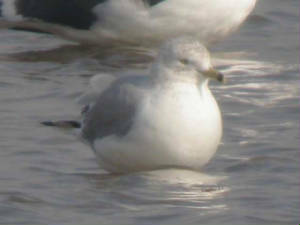 HELVICK HEAD: Adult Yellow-legged Gull, 1st-winter Glaucous & 1st-w Iceland Gull. DUNGARVAN: Adult Black Brant at Sports Centre; male Goosander & 1 Common Sandpiper at Ballyneety; female Common Scoter & 1 Chiffchaff at Ballynagaul. BALLINARD (BALLYNACOURTY POINT): 1 Purple Sandpiper, 1 Chiffchaff. BALLYVOONEY COVE: 1 Common Porpoise. Near CAPPAGH: 2 Little Egrets. BLACKWATER CALLOWS: 2 Otters - singly at Lismore and Ballyduff. WATERFORD HARBOUR (PASSAGE EAST TO CREADAN HEAD) (I-WeBS count): Totals included 39 Great Crested Grebes, 133 Brent Geese, 1 Little Egret, 1195 Oystercatcher, 94 Bar-tailed Godwit, 10 Knot, 11 Sanderling, 1150 Lesser Black-backed Gulls, 2 Glaucous Gulls (1st-w & 2nd-w at Fornaght Strand). DUNGARVAN (I-WeBS count): Totals included 6 Great Northern Divers, 42 Great Crested Grebes, 948 light-bellied Brent Geese (possibly a record count for here), an adult dark-bellied Brent, 330 Shelduck, 182 Wigeon, 289 Teal, 30 Red-breasted Mergansers, 789 Oystercatcher, 4750 Golden Plover, 326 Grey Plover, 403 Knot, 98 Sanderling, 5050 Dunlin, 137 Snipe, 259 Black-tailed Godwit, 868 Bar-tailed Godwit, 951 Redshank, 23 Greenshank, 151 Turnstone (full details). 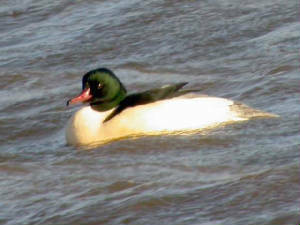 DUNGARVAN: 2 Goosanders (male + female) at Ballyneety. WATERFORD CITY: 9 Waxwings at Collin's Avenue. 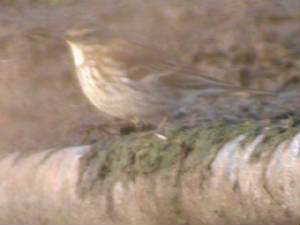 DUNGARVAN: 1 Merlin at Ballyneety. TRAMORE BACKSTRAND (I-WeBS count): Totals included 1 Great Northern Diver, 2 Great Crested Grebes, 12 Little Egrets, c.525 Brent Geese, 31 Shelduck, 2 male Pintail, 267 Oystercatcher, 140 Grey Plover, c.650 Dunlin, 35 Knot, 35 Sanderling, 530 Black-tailed Godwits, 300 Bar-tailed Godwits, 261 Redshank (full details). 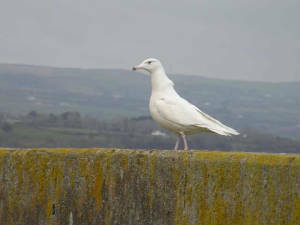 DUNMORE EAST: At least 2 Glaucous Gulls, also 2 Mute Swans on the sea. CO. WATERFORD: Total of 231 Whooper Swans at four locations, plus at least a further 271 at adjacent locations in Cos Cork and Kilkenny (details below). HELVICK HEAD: 2 Common Porpoises. DUNGARVAN: Adult 'dark-bellied' Brent Goose off the Sports Centre. COOLFIN/DERRIGAL: 1 Green Sandpiper & 2 Little Egrets above Clodiagh Bridge; 6 Whooper Swans, only 7 Greylag Geese. FIDDOWN/TIBBEROUGHNEY: 37 Whooper Swans [on Kilkenny side]. BALLINLOUGH: 5 Whooper Swans, 1 Water Rail. KNOCKADERRY RESERVOIR: 1 Great Crested Grebe, 11 Tufted Duck, 89 Mallard. CAMPHIRE (R. BRIDE): 71 Whooper Swans. BLACKWATER CALLOWS: Whooper Swans counts - 22 at Towers (nr Lismore), 198 at Ballyneroon (west of Ballyduff) [plus a further 234 at Kilmurry, along Co Cork section of Blackwater]. 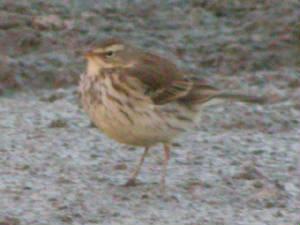 KILMEADEN POOLS: 2 Water Pipits, 1 Rock Pipit (rare inland). TRAMORE BACKSTRAND: 2 Great Northern Divers at Saleen. CLONEA / BALLYNACOURTY POINT: 6 Purple Sandpipers at Ballinard / Ballinclamper. CLONEA to DUNGARVAN HARBOUR: 30+ Great Northern Divers. DUNGARVAN: Black Brant (nigricans subspecies of Brent Goose) & dark-bellied Brent (bernicla subspecies) with 600+ pale-bellied Brent at the Sports Centre near the town; 1 Black Guillemot off Ballynagaul pier; 7 Chiffchaffs at Knockanpower Lower, nr Ballynagaul; 1 Green Sandpiper along the Brickey River; 1 Curlew Sandpiper in Western Bay; 2 Goosanders (male + female) & 1 Common Sandpiper at Ballyneety. HELVICK HEAD: 1 Common Scoter, 1 Black Guillemot. WATERFORD CITY: Male Blackcap at another garden site. 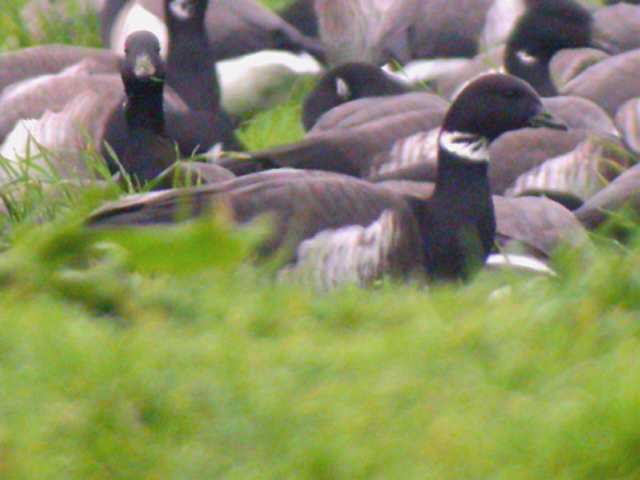 DUNGARVAN: Adult 'dark-bellied' Brent Goose (subspecies bernicla) at the Cunnigar. HELVICK HEAD: 1 Black-throated Diver, 2 Great Northern & 1 Red-throated Diver (also 2 Red-throats in Dungarvan Bay). DUNGARVAN TOWN: 2 Waxwings at Rushden Close. CLONEA STRAND: 2 Great Northern Divers, c.300 Brent Geese, 47 Ringed Plover, 34 Sanderling; 2 Chiffchaffs nr Ballinclamper car-park. WATERFORD CITY: Male Blackcap ringed in a garden. 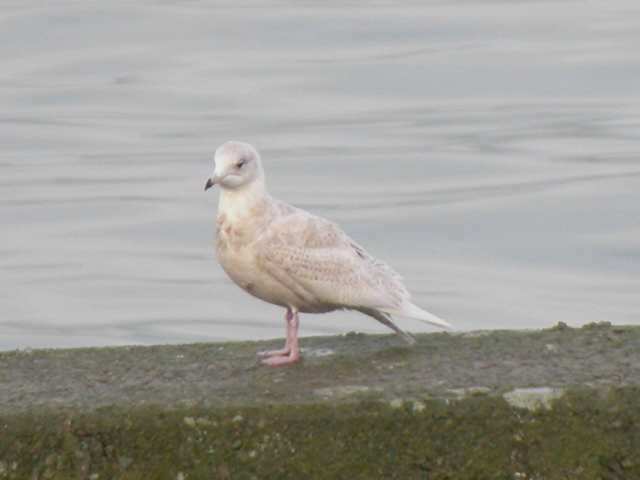 DUNGARVAN: 2 Curlew Sandpipers off Industrial Estate/Stafford Miller area; 1st-winter Glaucous Gull off the Sports Centre near the town; at least 10 Chiffchaffs at the oyster factory, Knockanpower Lower (nr Ballynagaul). HELVICK HEAD: Common Scoter, 2 Black Redstarts. Note: Sightings listed here are reports, not necessarily authenticated records. Records are regularly updated, and older records added or amended where necessary . Many thanks to observers who provided records above - any further records (current or older) would be appreciated.